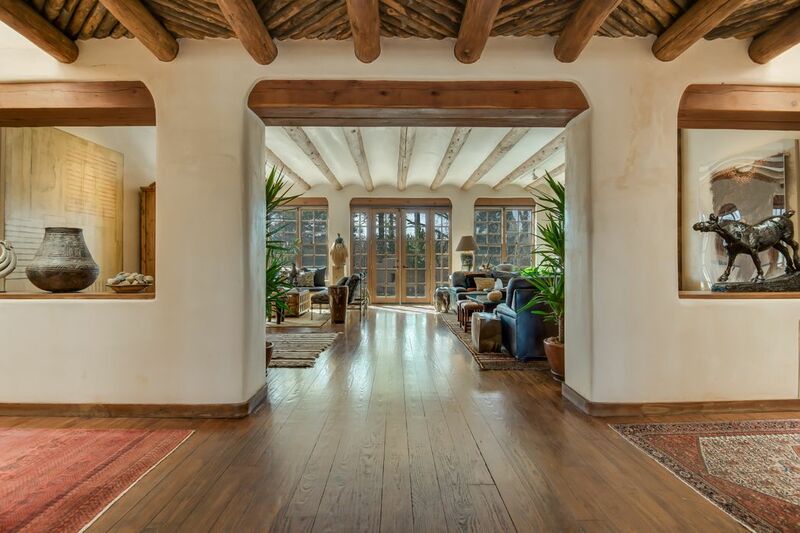 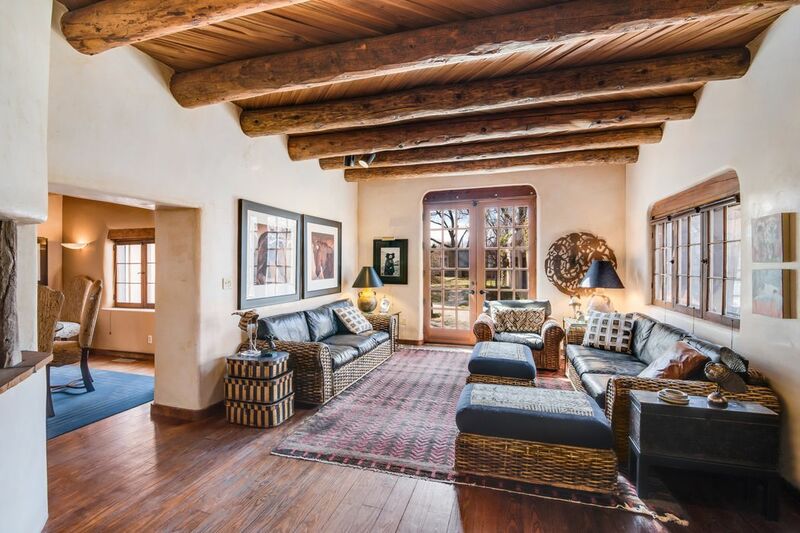 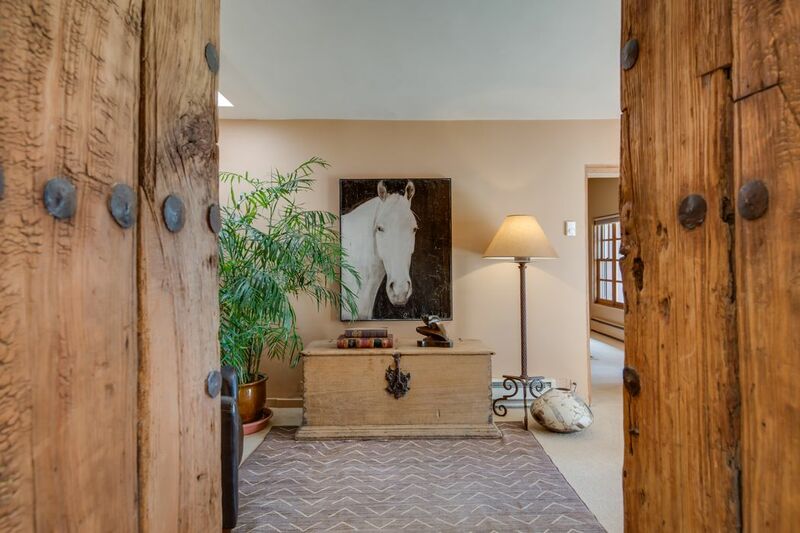 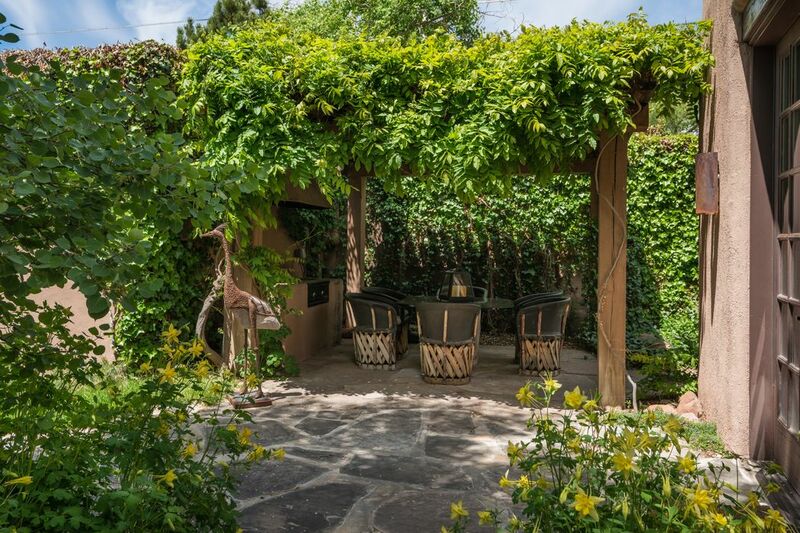 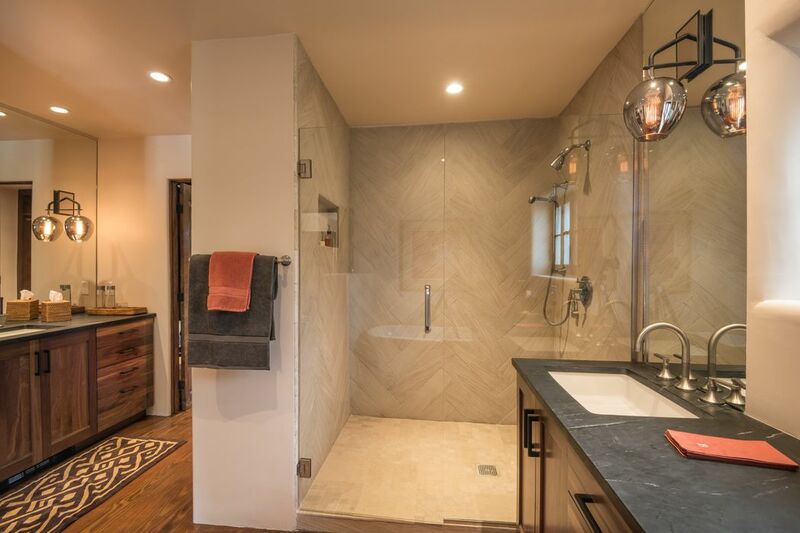 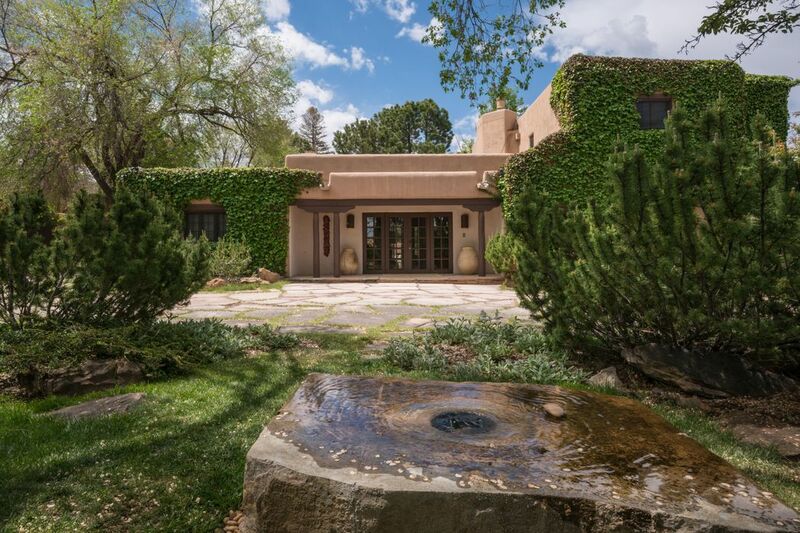 540 Canyon Rd , Santa Fe, NM 87501 | Sotheby's International Realty, Inc.
$2,950,000 3 Bedrooms4 Full / 1 Partial Baths5,399 sq. 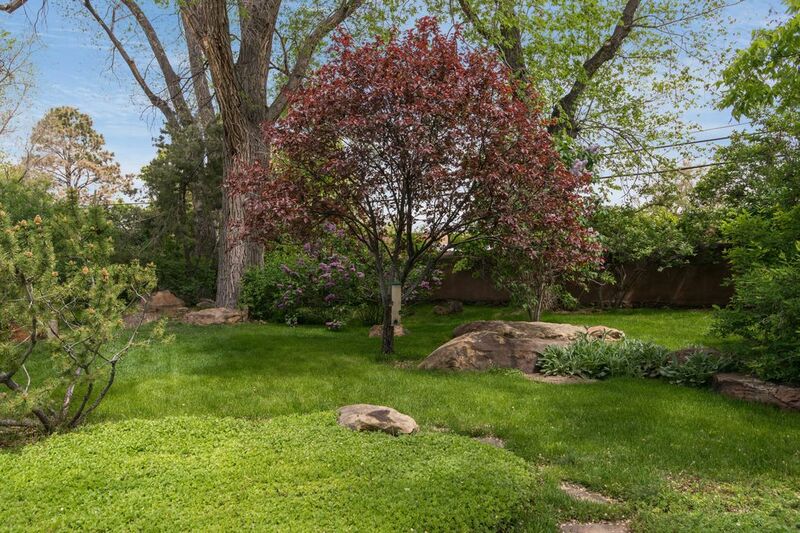 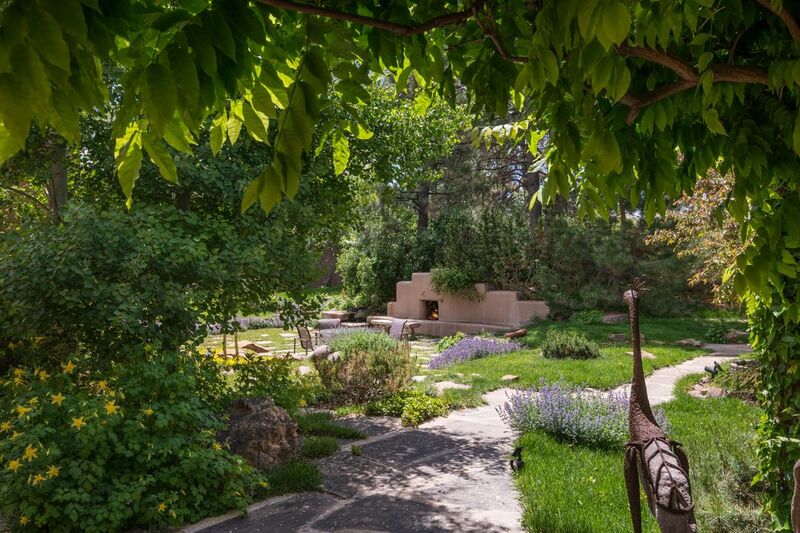 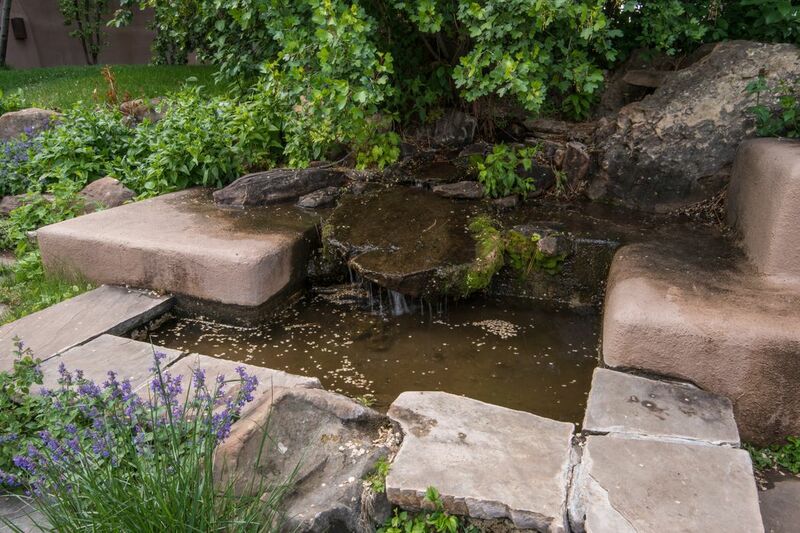 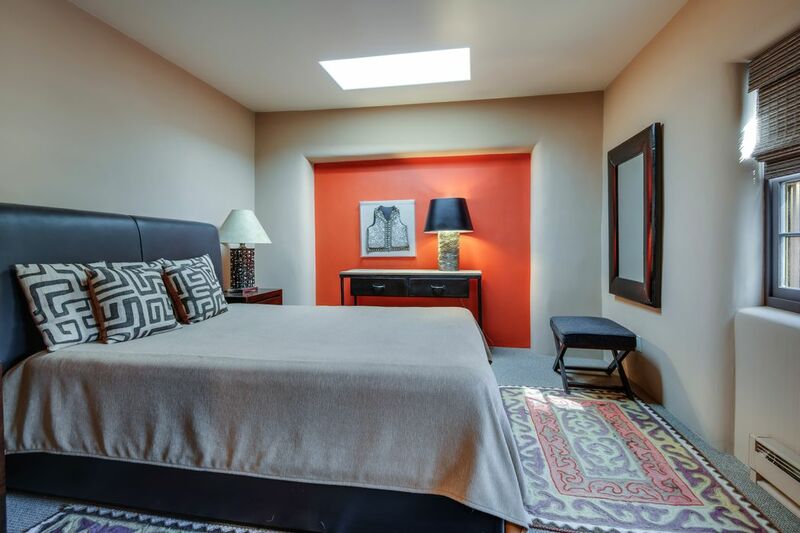 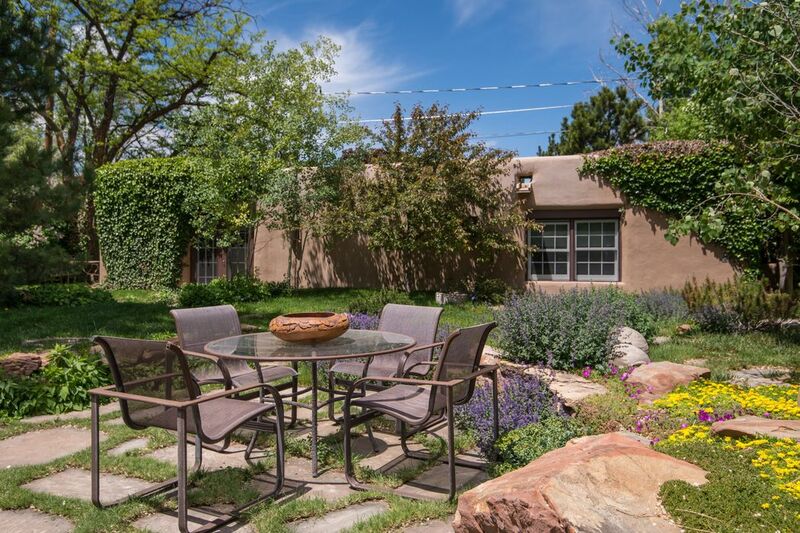 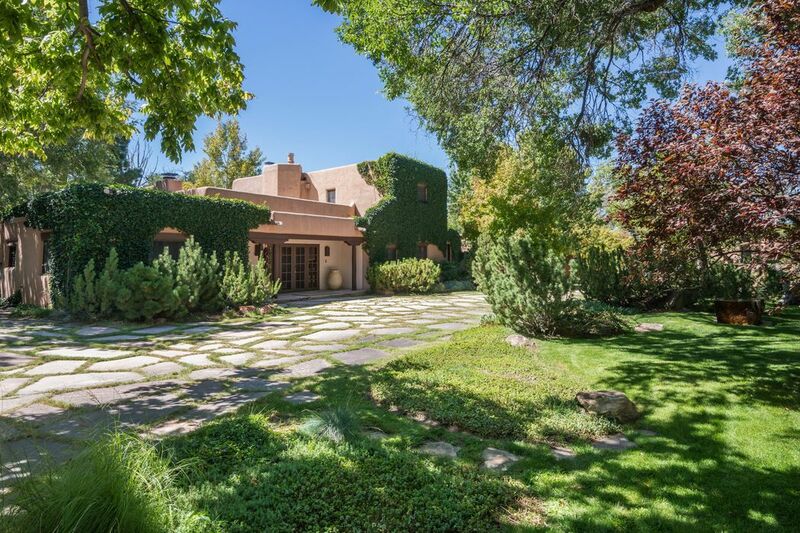 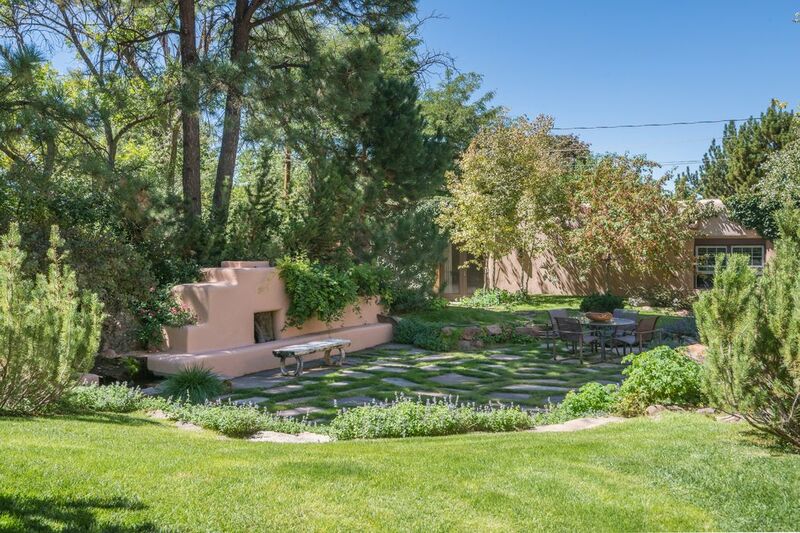 ft.
Rare opportunity to live in the heart of the historic Eastside of Santa Fe and still enjoy great privacy and magnificent grounds. 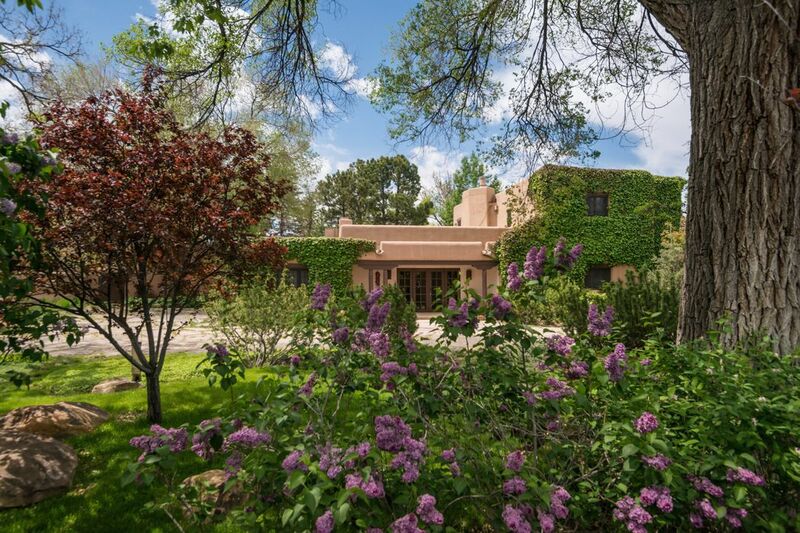 Located on over one-half an acre is this gracious historic estate. 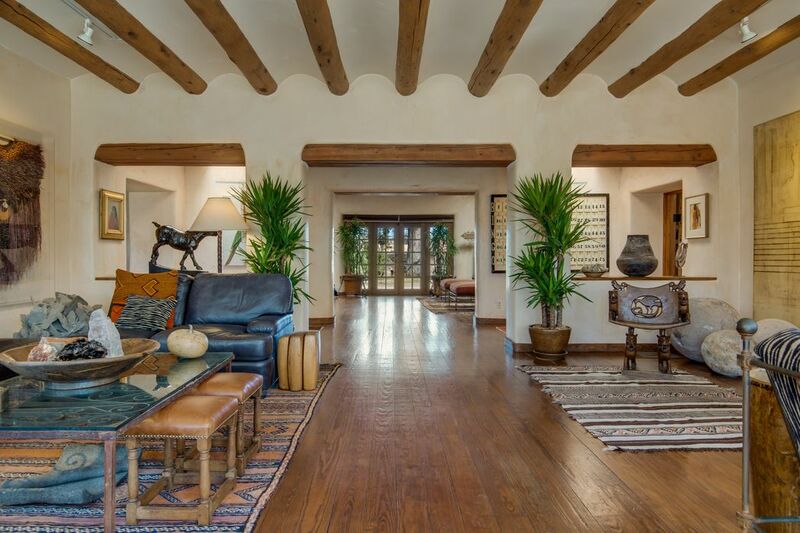 The main house has spacious public rooms, a grand and light filled formal living room, perfect for entertaining. 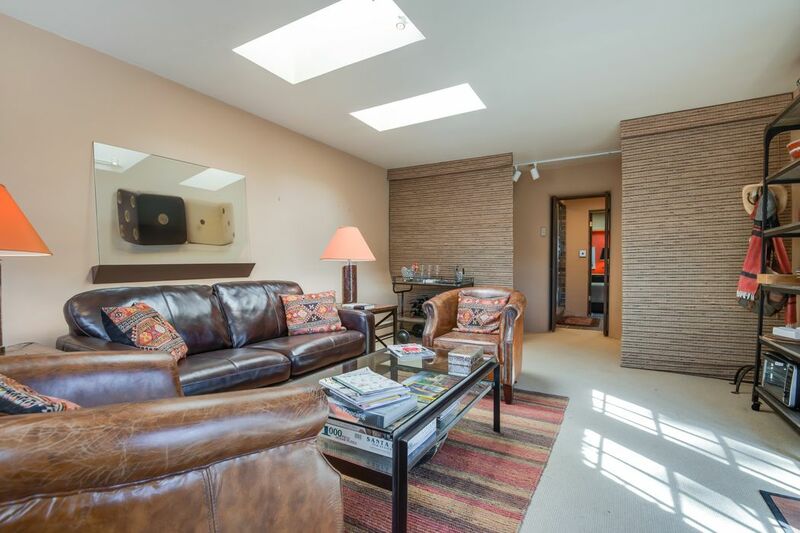 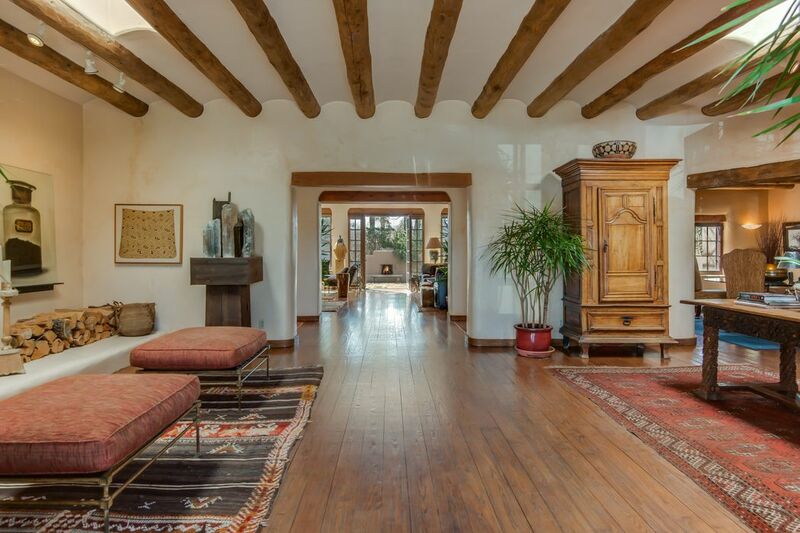 High ceilings, vigas, lovely wood floors and a major fireplace. 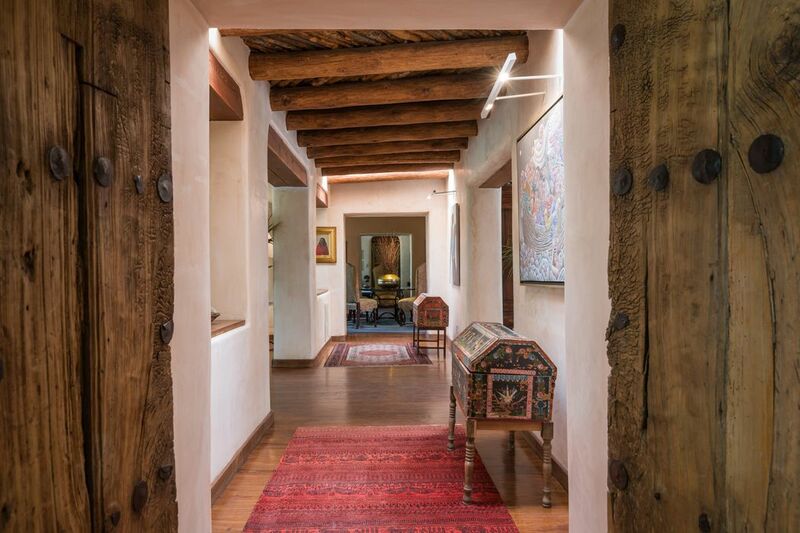 A gallery hallway directs you to either the master bedroom wing or to the lovely, historic dining room with original split cedar ceilings and then on to a large, comfortable informal family room complete with a unique fireplace and large French doors that open to a covered leafy dining pavilion with a built-in grille. 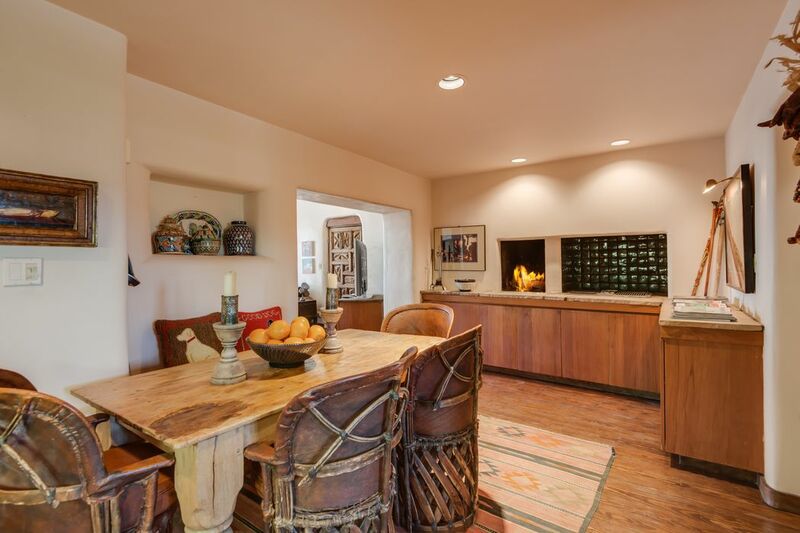 Adjacent to the family/TV room is the eat-in kitchen that also contains a fireplace, grill and complete wet bar with an ice maker. 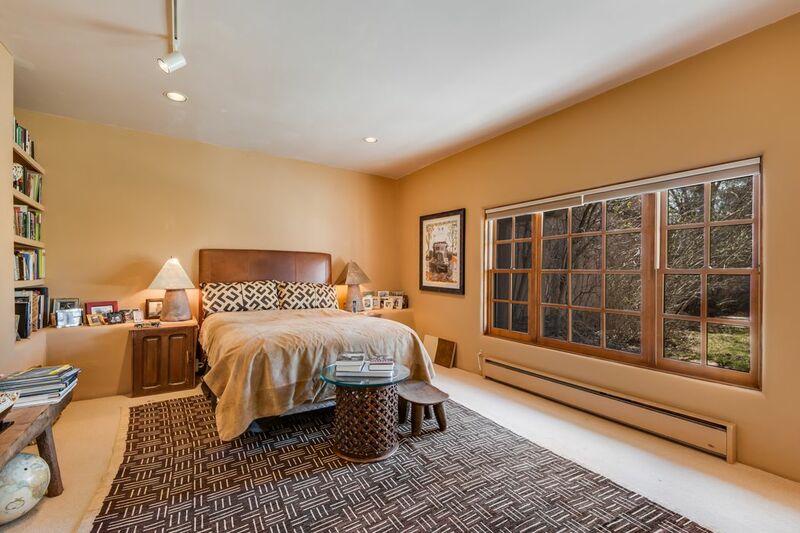 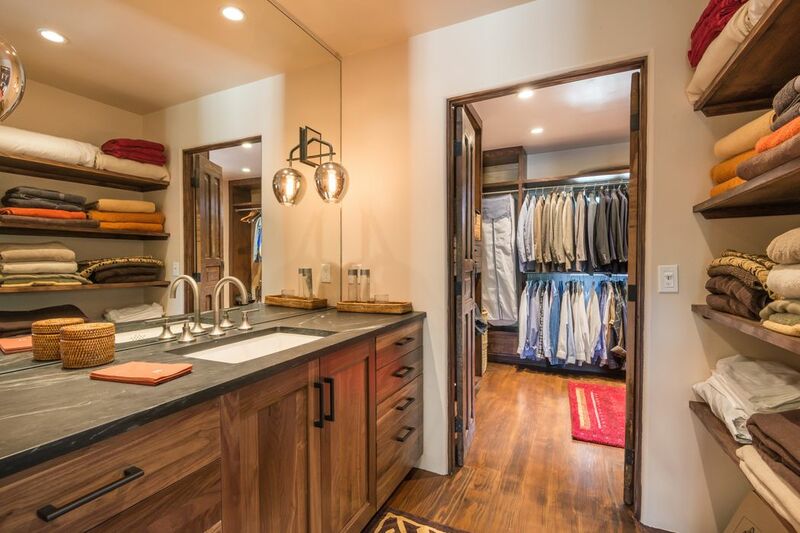 The master wing includes a wonderful office, bedroom and fabulous new master bathroom and large walk-in closet. 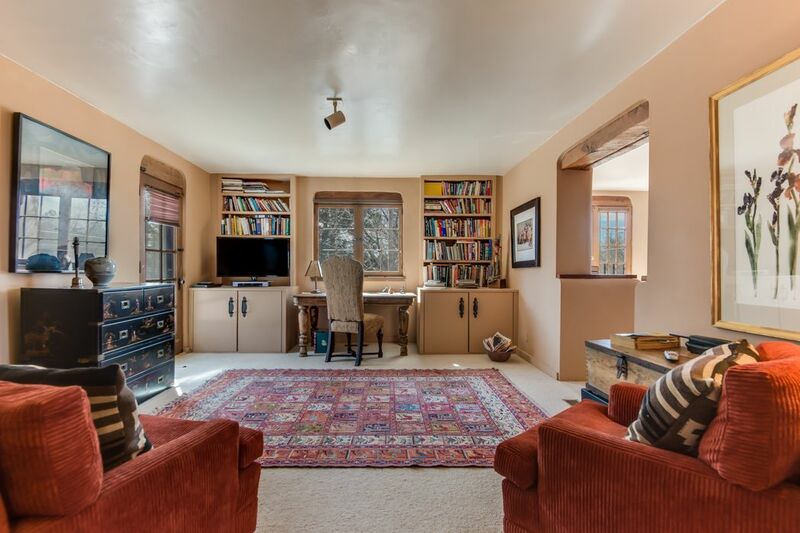 Additionally, on the second floor is the second master suite complete with a sitting room/office, a spacious bedroom, major closet and a mostly original bathroom. 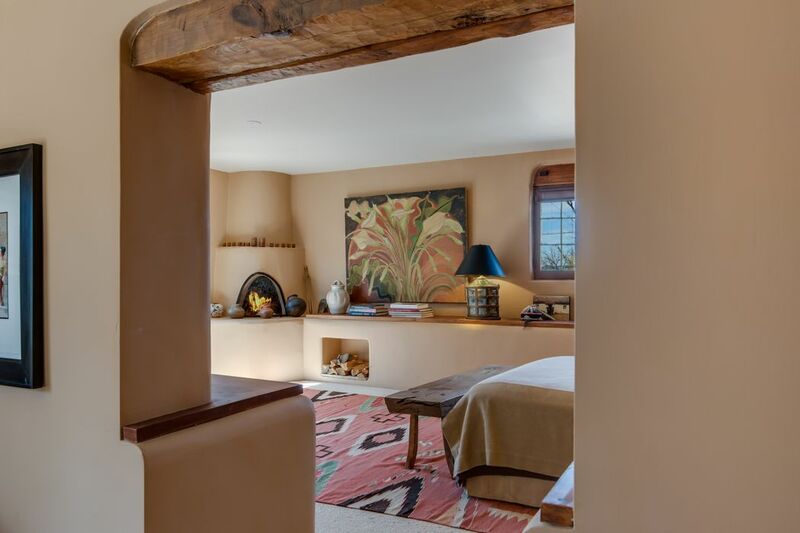 Accessed through the gardens is a charming one bedroom guesthouse comprised of a living room, kitchen alcove, a great bathroom with steam shower and a full bedroom. 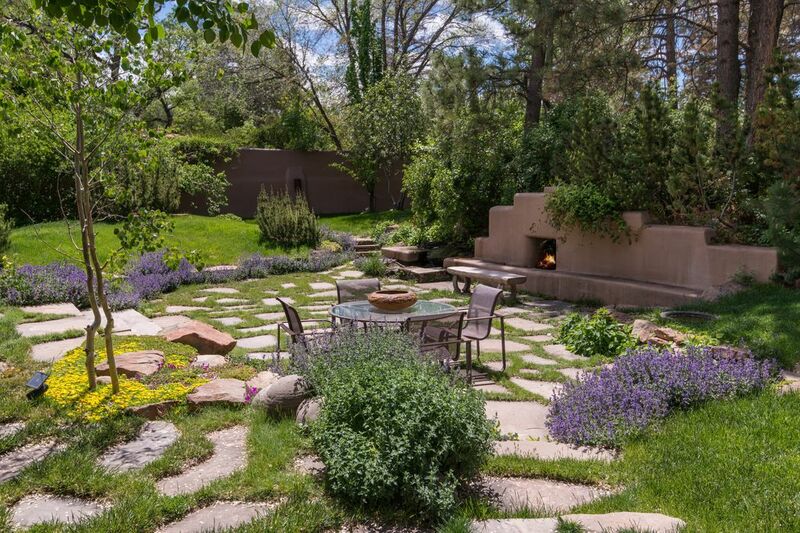 The gardens have to be seen to fully appreciate them. 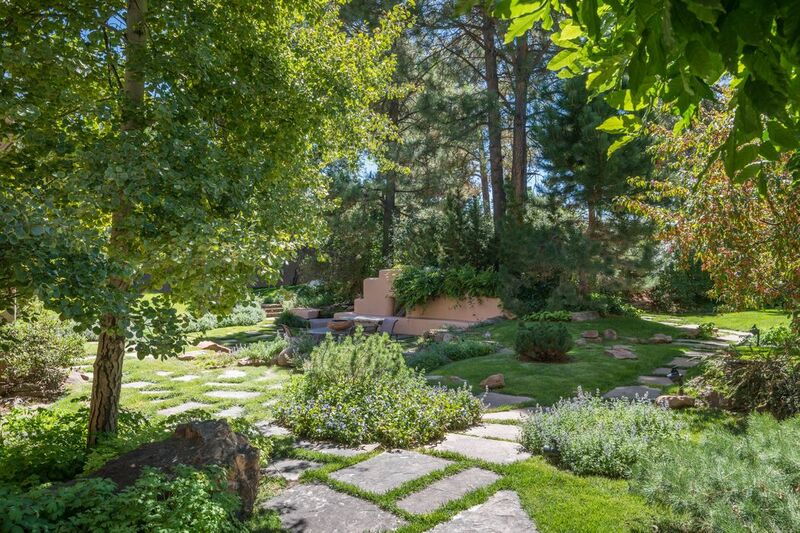 Watered by a private well with rolling green lawns, a large flagstone entertaining area that centers on a fireplace and bubbling fountain, flower beds, an herb garden and magnificent trees. 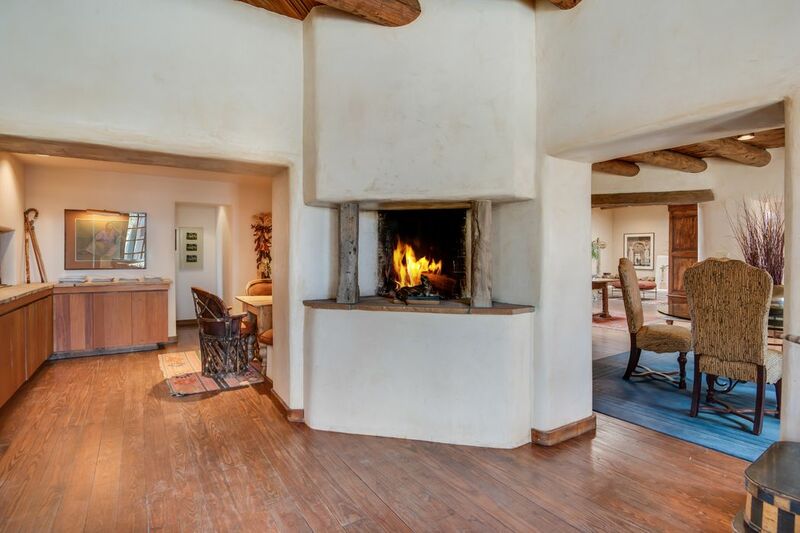 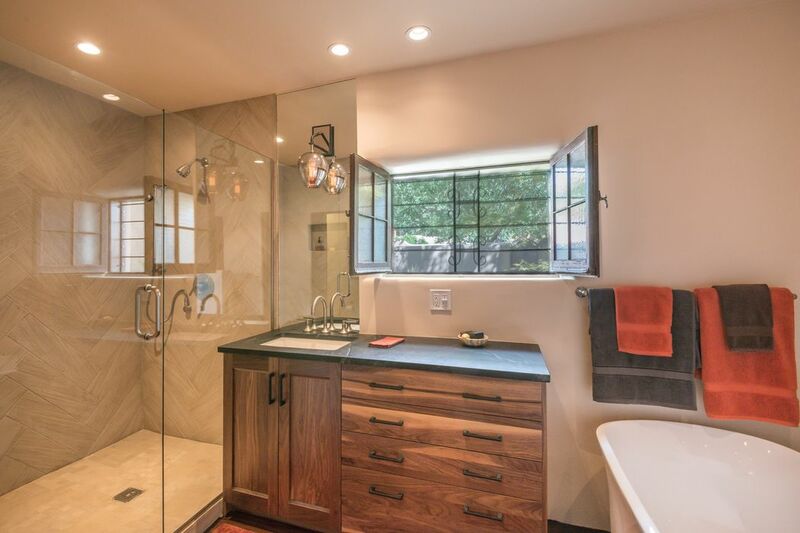 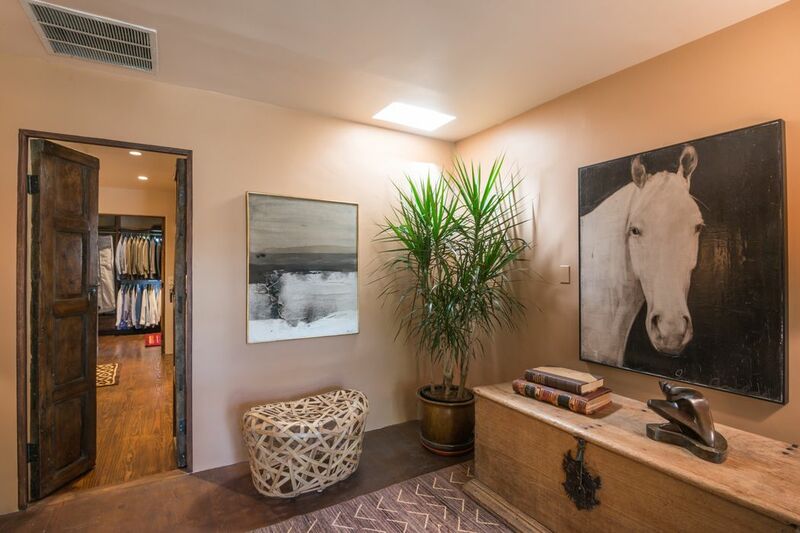 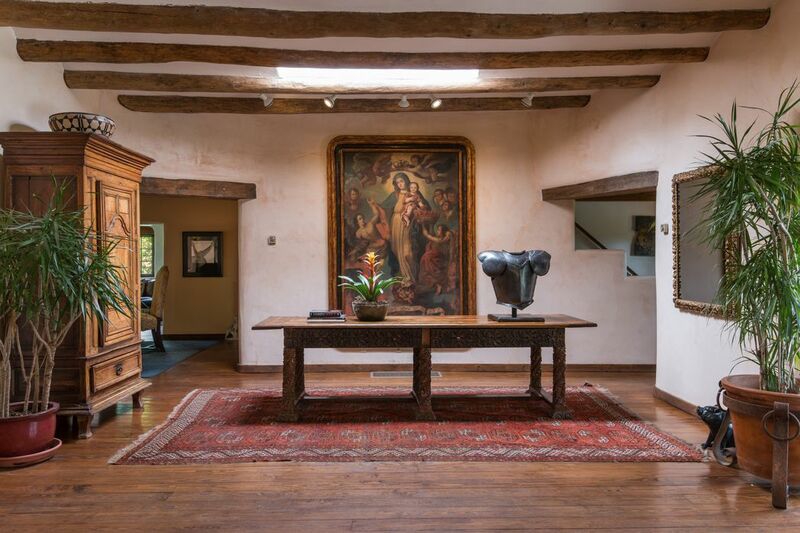 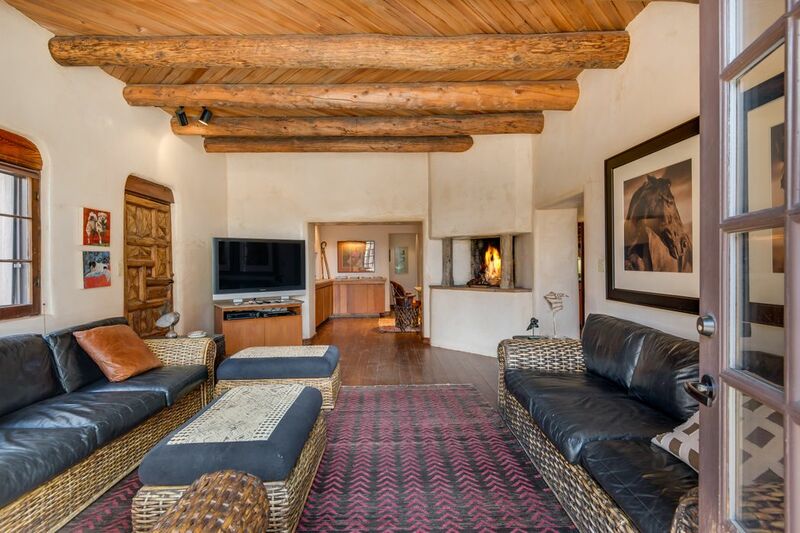 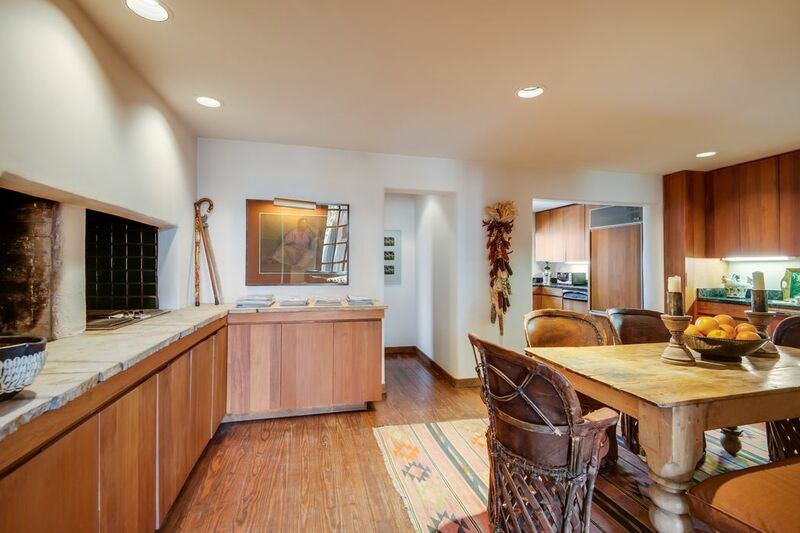 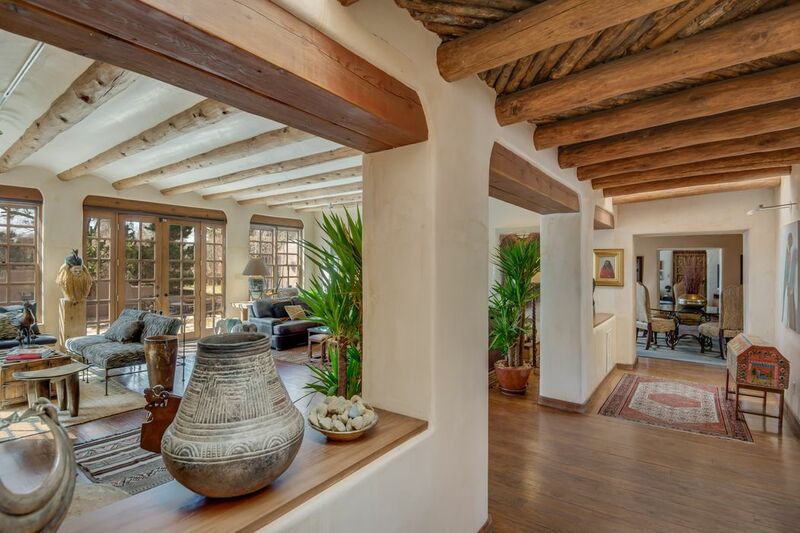 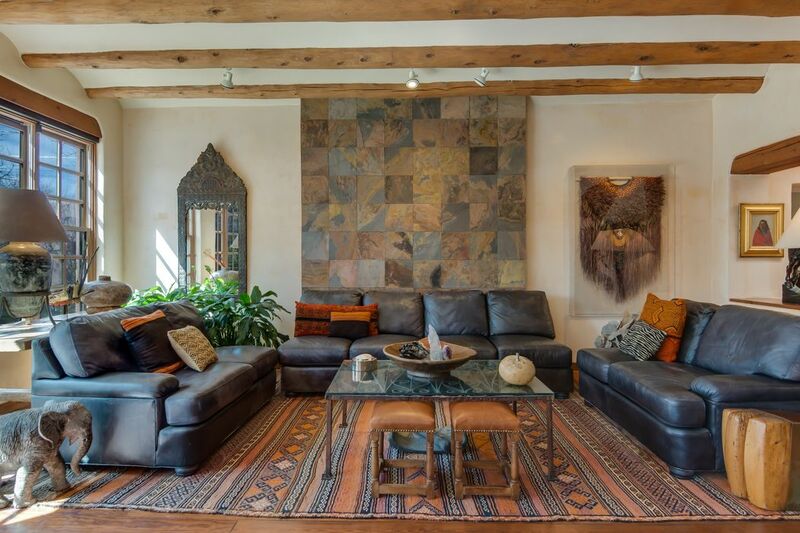 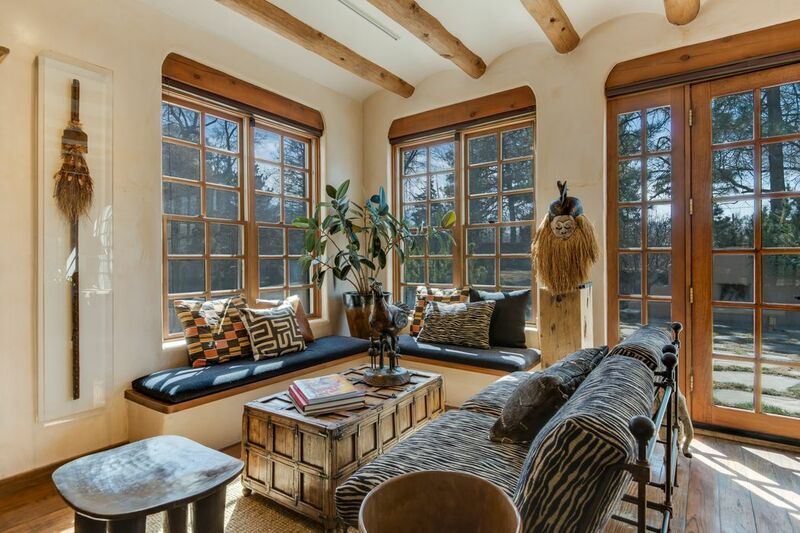 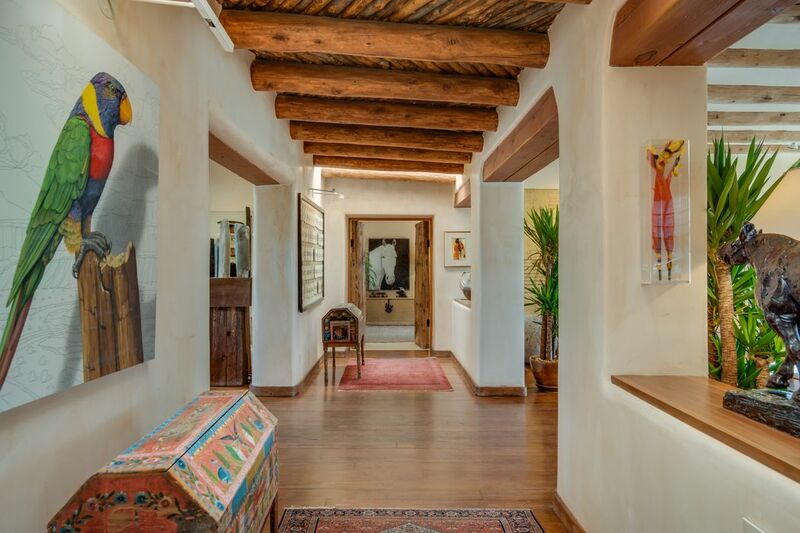 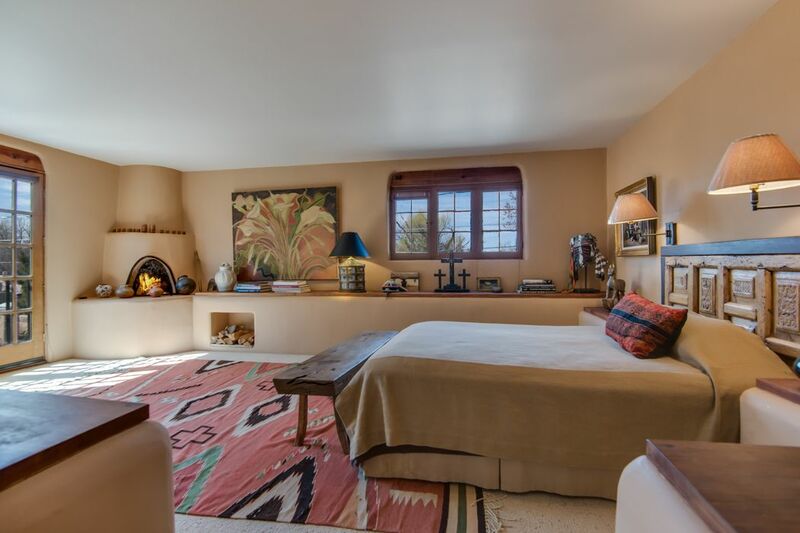 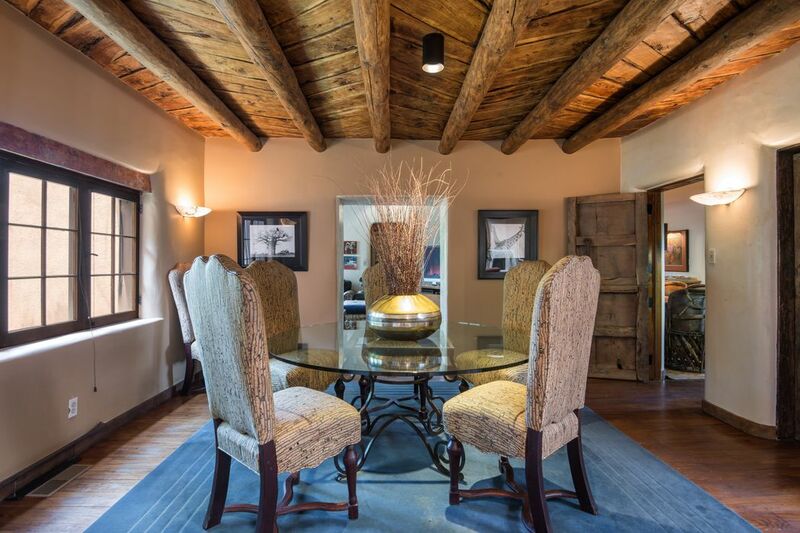 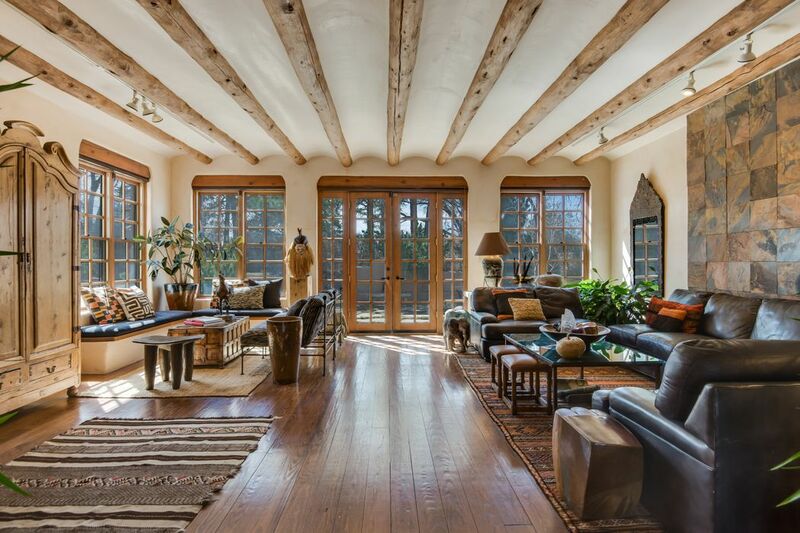 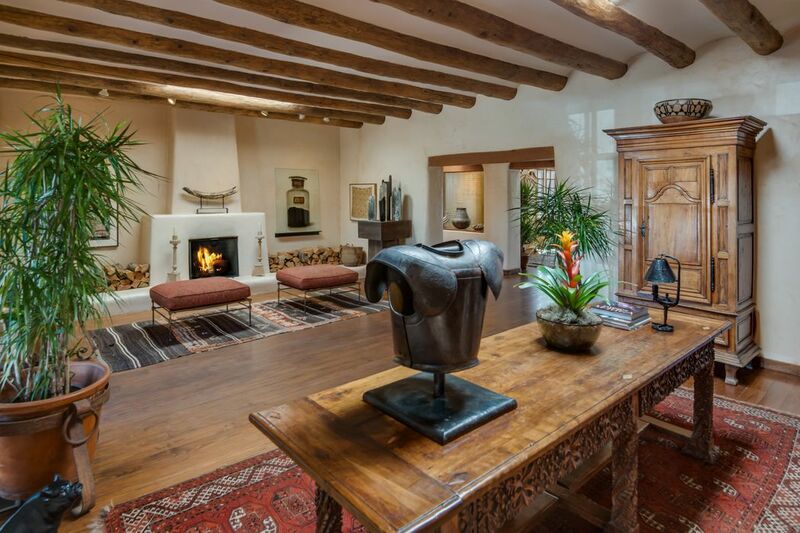 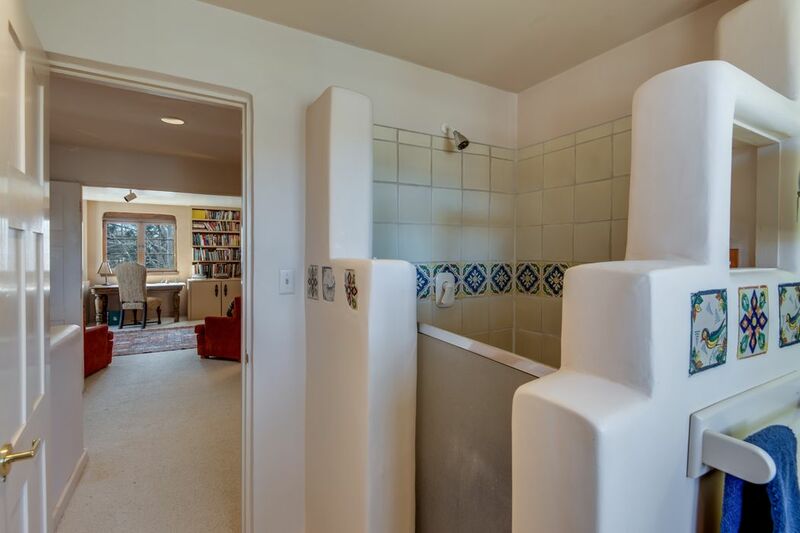 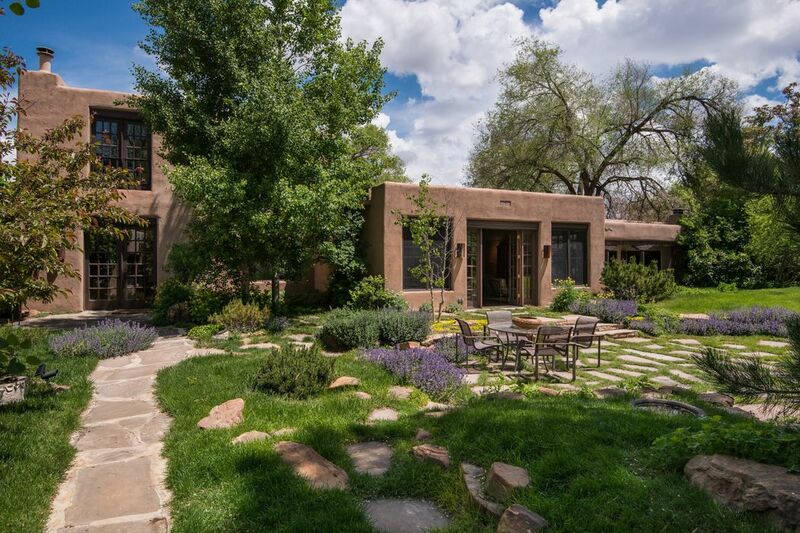 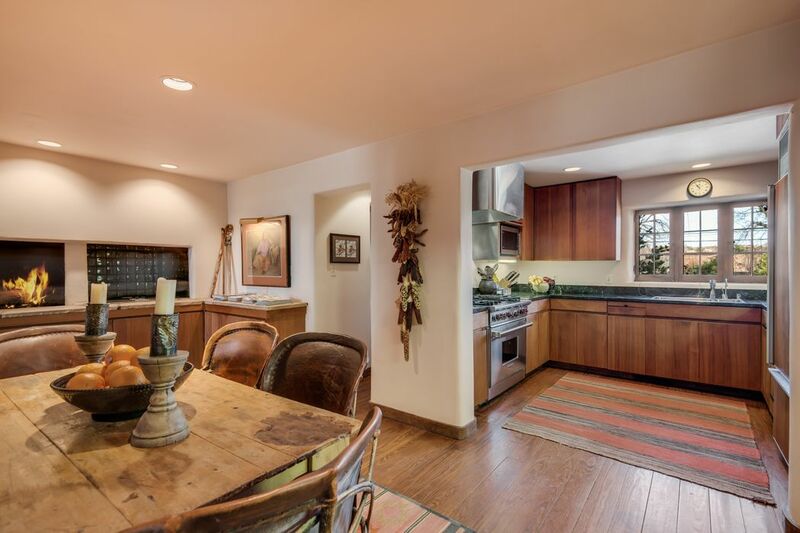 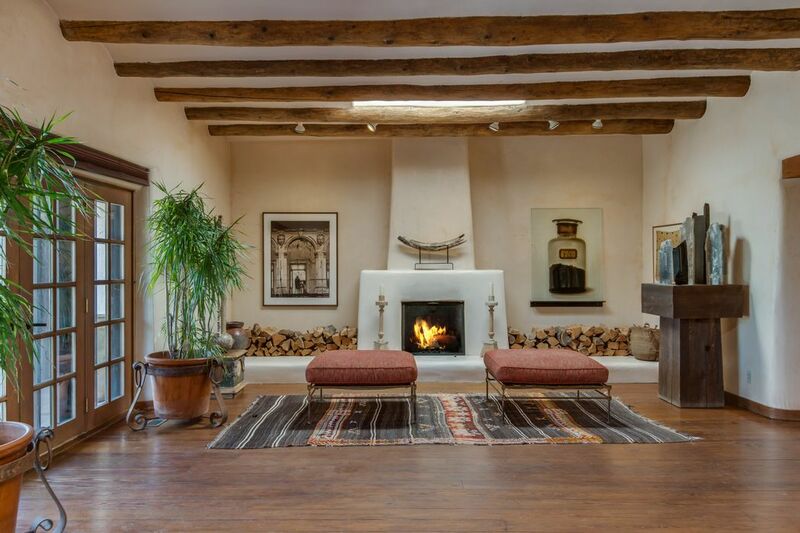 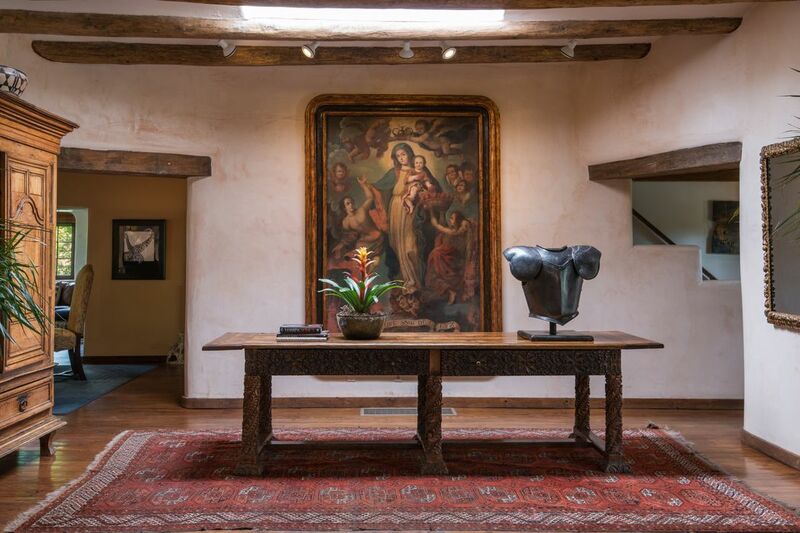 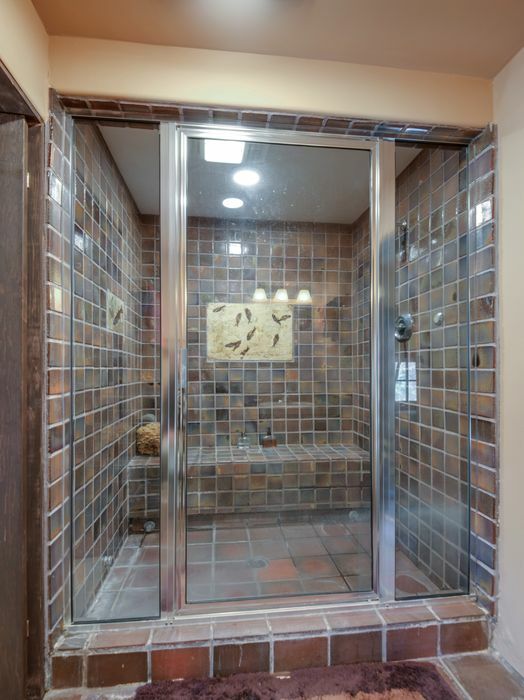 Curbed, "Historic Southwest Home Asks $3.25 Million After Massive Price Cut"